Alien invasion post-apocalyptic drama Falling Skies has been renewed for a fifth and final series. We’re still here, and we’ll be back for a fifth and final season, So rarely in television do you get to choose your own ending. […] You get to give the fans a sense of completion to the narrative that you’ve played out. Getting to wrap up these storylines and have these characters reach their natural conclusions… I think it’ll be satisfying for everybody. Fans of the 2008-2010 series of Survivors can only reflect once again that that series was not afforded a similar opportunity. In the UK, the current run of series four of Falling Skies concludes on the Fox channel with a double episode on 24 September starting at 22:00. Production on series five was halted for several days on 15 September when a security guard was killed after being struck by a vehicle on set in the suburb of Burnaby in Vancouver, Canada. 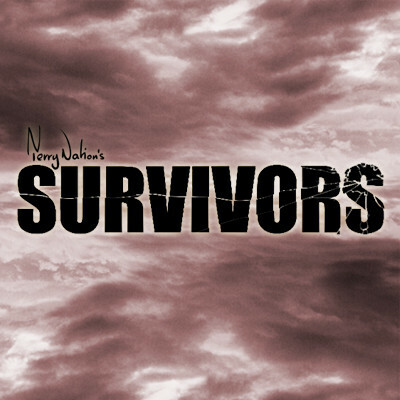 Audio-drama specialists Big Finish have confirmed their intention to release an audio-book version of Terry Nation’s 1976 Survivors novel – the book which was the inspiration and source material for the 2008-2010 BBC Survivors TV series. The audio version will be read by Carolyn Seymour (who played Abby Grant in the original 1975 TV version). Survivors: Audiobook of Novel will be released as a 6-disc CD set and as a digital download in December 2014. Both formats are available for pre-order. Following the extremely well received first series of new audio dramas, based on the original TV series, Big Finish has committed to releasing a further two series of new and original audio stories; with series two scheduled for a June 2015 release.